"THE BETTER MOVERS ARE THE HIGHEST RATED MOVING COMPANY IN L.A. FOR A REASON!" The Better Movers are relocation experts, providing you with all the packing assistance and moving services your friends won't. We'll create a complete moving plan as well as bring the boxes, the truck, blankets, muscle and the expertise to make your move flawless. All you have to do is tell us when to be there and we'll take care of the rest! Whether you're moving to new apartments down the road or relocating your business to a new office complex across country, you'll be happy to know we're here to make things smooth and easy. 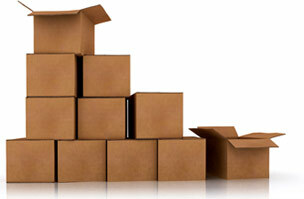 We'll pack up rooms individually, label the boxes accordingly, and get you settled as quickly as possible. Making the move to a new city or state is enough of a worry. National moving companies are NOT all the same! The last thing you want is the added stress of packing and hauling all your belongings. We'll make sure to pack everything securely and get you to your new home safely, wherever you're headed. "THE PEOPLE HAVE SPOKEN! BETTER IS JUST BETTER!" Relocating is something most everyone gets to experience at some point in life. And, what an experience it is. From trying to figure out what box to put all the odd kitchen stuff and your friends not answering the phone to filling a box with books only to find out it's too heavy to get off the floor - it's all good times!